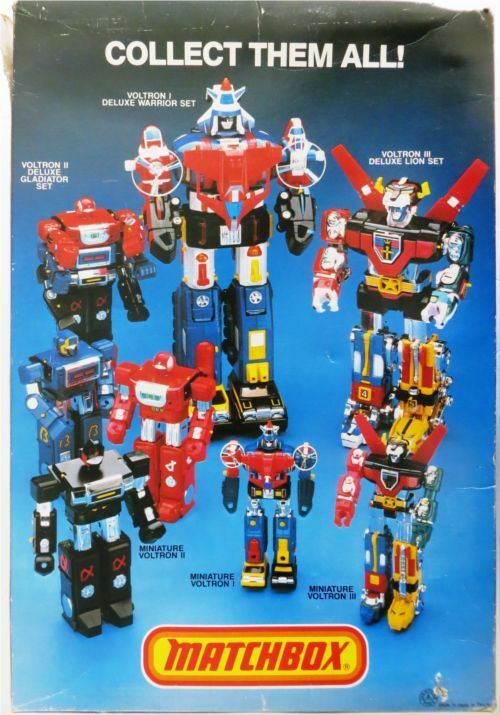 If you were a kid in the early 80s, there was a pretty good chance you were familiar with Voltron. The action packed cartoon about five robot lions that could combine into one mighty robot and fight the forces of evil. 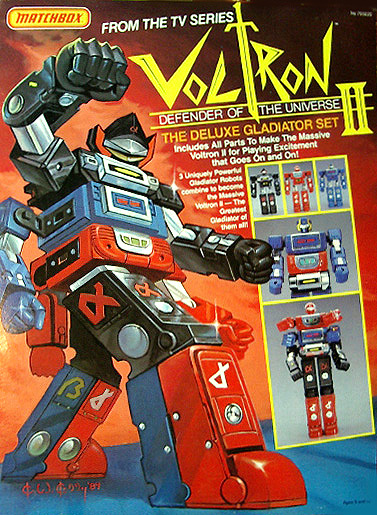 Some of you were probably also familiar with the “other Voltron” known as Voltron Vehicle Force. 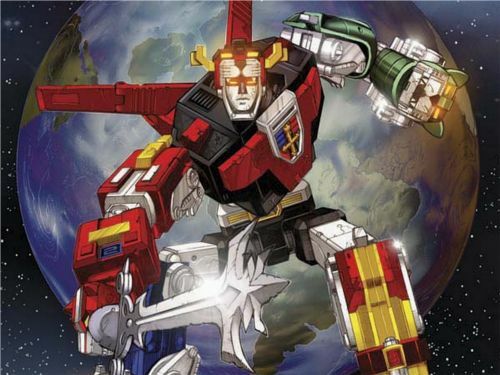 It wasn’t as popular as its Lion counterpart, but it was still Voltron. But hang on… what’s this? This is the back of the Voltron packaging, with a mysterious third Voltron. As a kid I was puzzled about this. 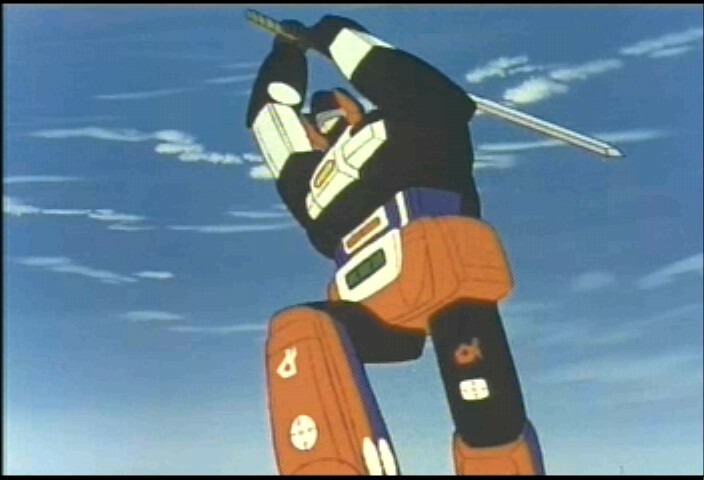 Was there another Voltron cartoon none of us knew about? Surely there must have been. Why else would they make a toy? I kept expecting a third Voltron cartoon to air on TV one day and answer this question of mine. But it never came. 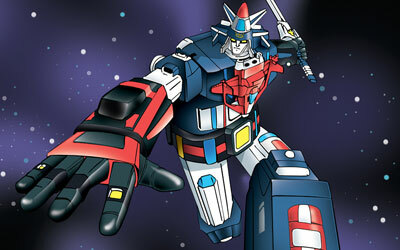 Who was this strange robot with the six arms that bore the name of Voltron? Turns out this guy was going to be the next Voltron series brought to the US after Vehicle Force, known as Voltron: Gladiator Force; based off an anime called Albegas. But due to the widely successful Lion Force, mediocre US reception of Vehicle Force, and Albegas lack of popularity in Japan, Gladiator Force was abandoned for the US market. Albegas featured three separate robots that could form into one larger robot, much like… well, Voltron. Except they weren’t restricted to a set combination. Since each robot was interchangeable, you could have six possible combinations. Each with its own special ability, such as being optimized for use in space or underwater. Here is a clip from Albegas.